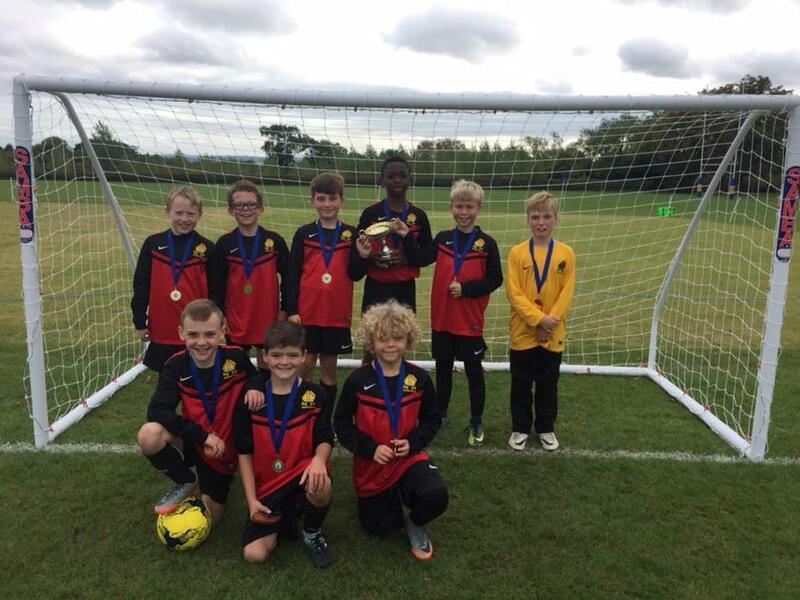 I'm delighted to let you know that our Bishop Ellis football team were crowned winners at the Ratcliffe College Football Festival earlier today. A host of teams from local schools participated in a truly wonderful festival, where the boys and girls enjoyed a well fought-out series of games. Across all games, the standard of play was very high with the spectators thoroughly enjoying the games. A big thank you to all of the parents, relatives and staff who helped the children with training, support, extra-coaching and occasional sessions of physio. We'd also like to thank the staff at Ratcliffe College who again put on a fantastic event. Fingers crossed that this year's team continues to go from strength to strength.